Thanks to continuously improved plasma processes, packed products are becoming more durable, mobile phones are getting smaller and computer performance is increasing. This success is mainly subject to the close link between plasma diagnostics and process technology, and to in-situ monitoring of process-related parameters and their correlation with the structures obtained. These are the major subjects of the SFB-TR87 collaborative research centre that concentrates expert knowledge in the areas of plasma physics, plasma technology as well as materials science and surface technology. Experts from RWTH Aachen University, Ruhr University Bochum and Paderborn University investigate barrier systems with unique tribological properties on metal substrates in addition to barrier properties on plastics substrates. The SFB-TR 87 project includes a „metal route“ mainly concerned with PVD coatings on components in plastics processing machines. The “polymer route” benefits from know-how in the fields of plasma and process technology as well as materials science to equip plastics for barrier applications by means of PECVD coating. 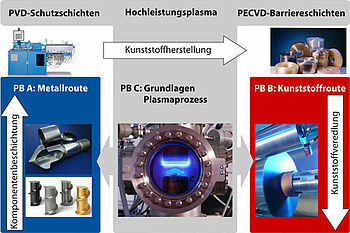 Elementary knowledge of plasma processes (project area C, “elementary principles”) form the basis of methods development in the SFB-TR 87 research project. What all three routes have in common is their target of reaching a fundamental understanding of the mechanisms on the synthesis route towards high-power plasma coating, in order to predict these processes. 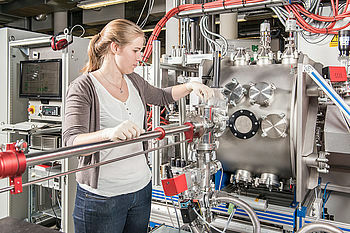 In order to reach a profound understanding of the mechanisms on the synthesis route to high-power plasma layers, the latest source technology is applied, some parts of which were developed by the scientists themselves. The source technology is characterised using a vast range of quantitative plasma diagnosis methods, some of them new as well. This is done by modelling and one-time experiments on single particles. Another aim of the investigations is to learn about the inter-relations between material properties and plasma parameters, and to benefit from this knowledge in the areas of plasma control, layer development and in-situ layer control. This way, researchers can overcome the usual empiric proceeding and develop a process understanding based on physical and chemical knowledge. IKV research within sub-project B1 of SFB-TR 87 is focussed on two targets. One aim is to investigate and describe the inter-relations between the morphologies and functionalities of large-surface plasma polymer coatings and the respective plasma processes. The other aim is to transfer this basic knowledge on coating processes to large-surface plastics substrates and make it serviceable for application. For this purpose, nanostructured functional layers to improve gas barrier properties (in particular O2, H2O) are deposited on polymer materials (polyethylene terephthalate (PET), propylene (PP)). Layers at IKV are developed right on large-surface substrates, while layer systems from other sub-projects are upscaled. This sub-project is therefore the interface between fundamental layer development and large-surface application. In this sub-project, a multi-scale simulation method is to be established to clarify the proportion of the pore-dominated material transport by plastics with PECVD layers and especially to quantify it. In this transfer project, the IKV team, in cooperation with an industry partner, aims to develop suitable coating systems that can resist the cleaning process with caustic soda in the multi-use process. Any questions on this research programme? 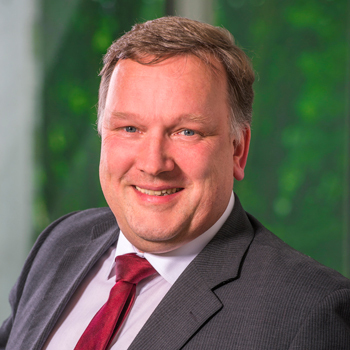 In the scope of the SFB-TR 87 collaborative research centre, scientific institutes at Ruhr University Bochum, RWTH Aachen University and Paderborn University work on different sub- projects. More information on all projects of the SFB is available on the website of SFB-TR 87.